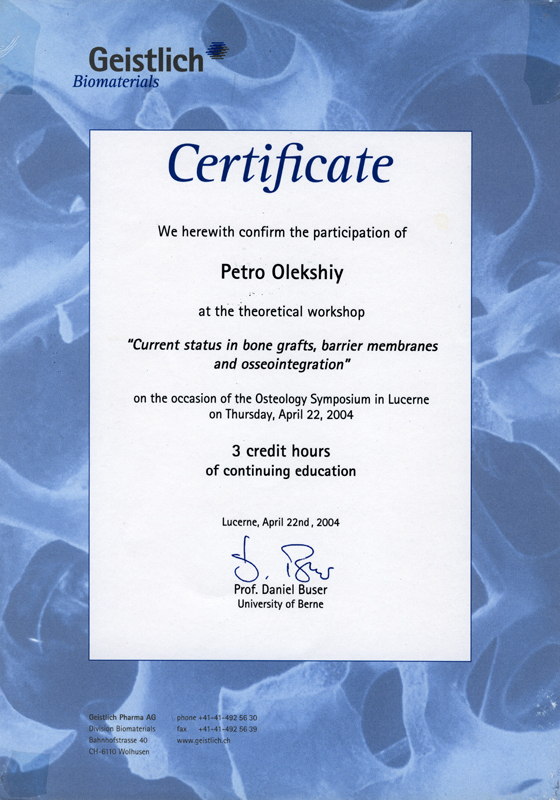 Osteological symposium “Current status in bone grafts, barrier membranes and osseointegrafion” (Lucerne, Switzerland). 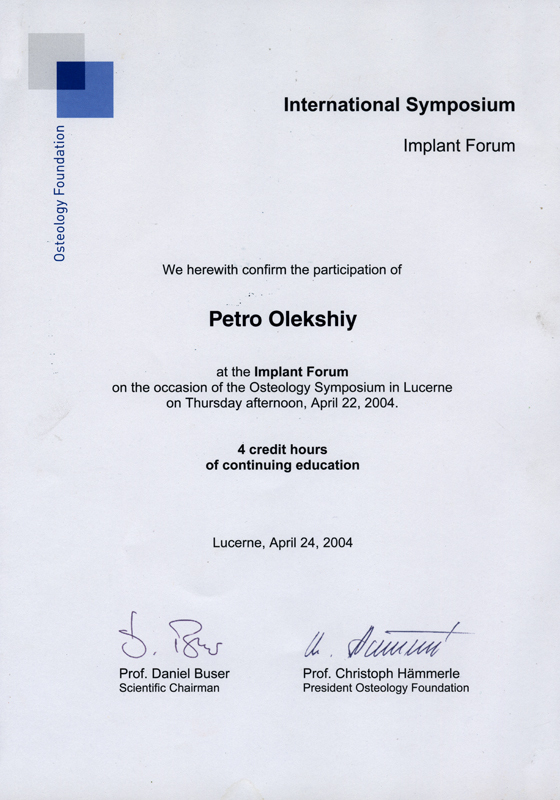 Implantation forum “Osteology symposium” (Lucerne, Switzerland). 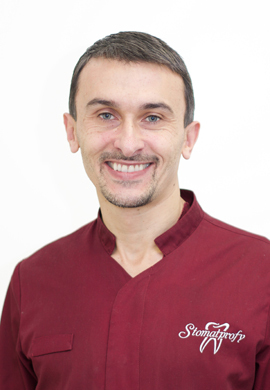 Important aspects for high quality esthetic restorations (Kyiv, Ukraine). Summer session “Poetry in stomatology” (Istanbul, Turkey). Master class “Metal-free Restorations in Posterior teeth” (Geneva, Switzerland). International symposium “Micro movements at the Implant-Abutment connection” (Kyiv, Ukraine). 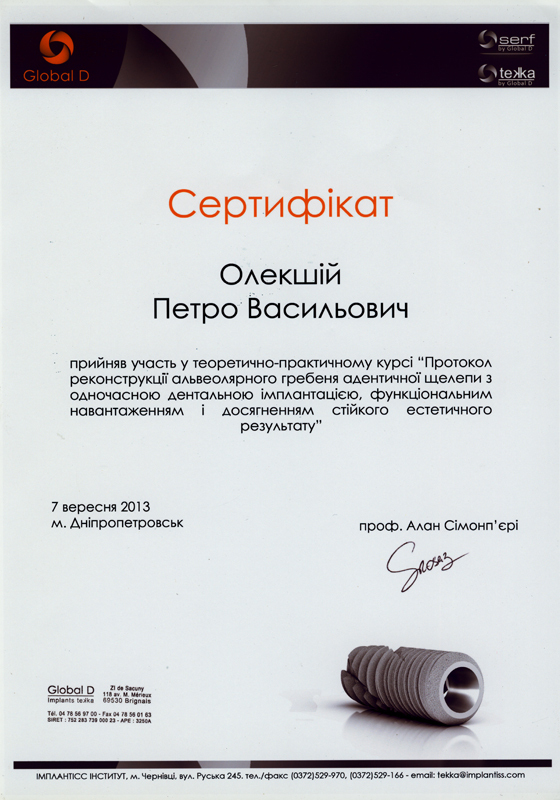 “Reconstruction of alveolar crest of bone blocks” (prof. Simonas Grybauskas, Odessa, Ukraine). Tutor Advanced Implant Surgery Course (Cinisello Balsamo, Italy). 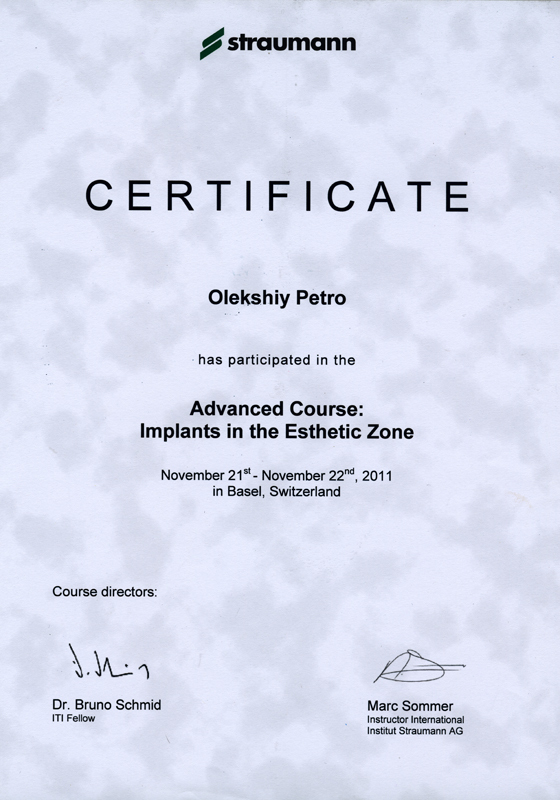 Implantology conference “Implants in the Esthetic Zone” (Basel, Switzerland). 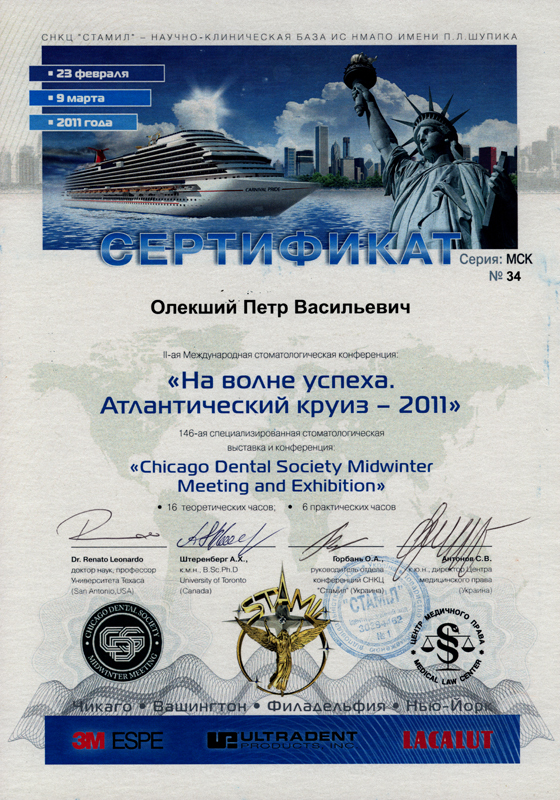 International conference “Chicago Dental Society Midwiner Meeting and Exhibition” (Chicago, USA). Fifth Eastern-Europe conference about problems of stomatological implantations (Lviv, Ukraine). Theoretical and practical course “Protocol of reconstruction of alveolar crest edentulous jaw” (prof. Alain Simonpieri, Dnipropetrovsk). 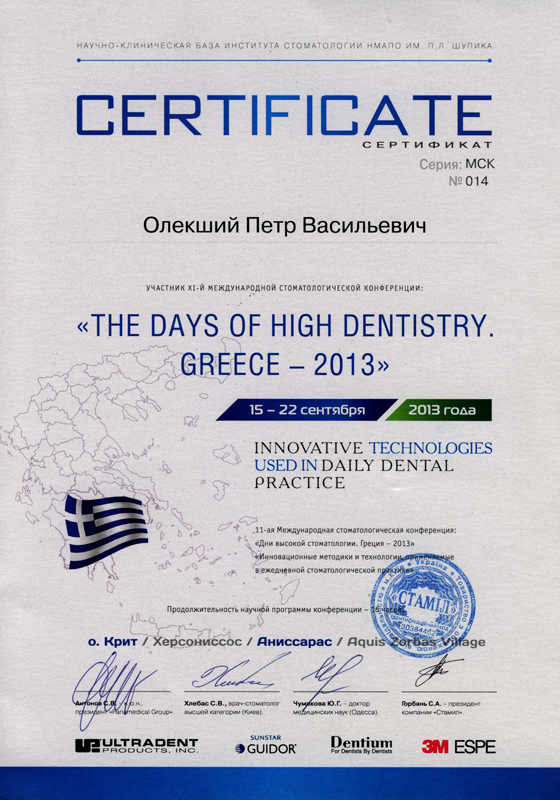 International conference “Innovative technologies used in daily dental practice” (Crete island, Greece). 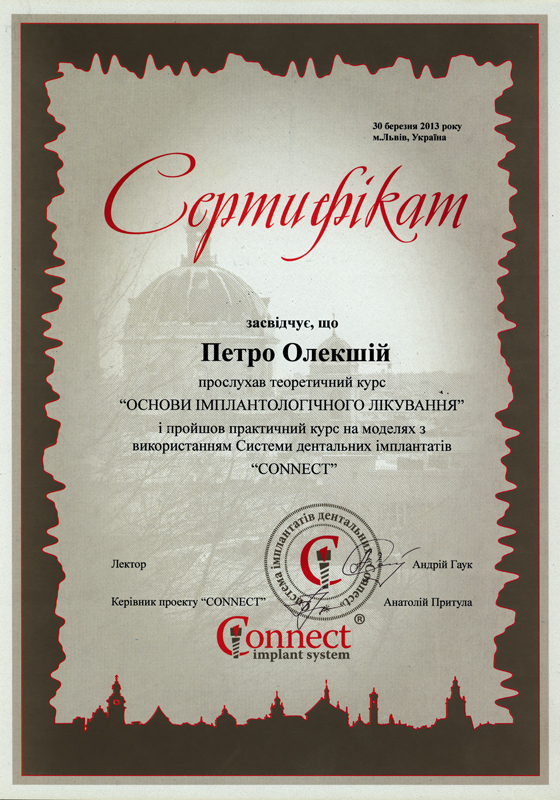 Theoretical course “Fundaments of implantology treatment”.